Detoxification is the first step for an individual with benzodiazepines overdose or addiction of for a better life. The purpose of detox is to eliminate all the remaining harmful toxins inside the patient’s system. They will regularly monitor patient under the strict supervision of doctors and nurses for withdrawal symptoms. This is because there are cases when severe addiction to this drug could bring dangerous side effects. For example, they include mental confusion, psychosis, and seizures. Actually, doctors do not recommend stop taking the drugs immediately. That’s because of the rebound effect it could bring to the patient. They include anxiety, panic attack, insomnia, and feeling agitated during the withdrawal phase. How Long Does the Benzodiazepines Detoxification Last? On the average, a patient will experience the withdrawal symptoms from a week to a few months. Of course, this depends on the level of benzodiazepine addiction and length of usage of this drug. They make these drugs in two forms: short-acting and long-acting. Firstly, the short-acting benzodiazepines will have strong and sudden benzodiazepines withdrawal symptoms. Secondly, the long-acting benzos often produce less acute symptoms and work at a slower pace. For example, individuals who might have addiction to short-acting benzodiazepines like Xanax will experience the withdrawal symptoms early. They could happen ten to twelve hours after the last dose. Meanwhile, those with severe addiction to long-acting benzos like Valium may experience the withdrawal symptoms for several days. There are instances when the withdrawal symptoms of heavy users of benzodiazepines might last for three months. Furthermore, they will need to undergo the “cold turkey detox” to taper off the drug inside the patient’s system. What is Tapering Benzodiazepine Usage? Tapering off the benzodiazepine drug is part of the benzodiazepines detoxification process. They use it to treat a patient with addiction. The attending doctor may prescribe lower doses of benzodiazepine for a certain period. Otherwise, he might recommend another benzo brand with lesser potency to start the tapering process. This whole process can be truly challenging. This is especially if the patient’s brain has grown used to the effects of this drug during the intake. Acamprosate is a type of drug for patients with alcohol addiction. In addition, it may also be useful to patients with benzodiazepines addiction during a detox. It will treat the withdrawal symptoms affecting the central nervous system such as anxiety, insomnia, and restlessness. 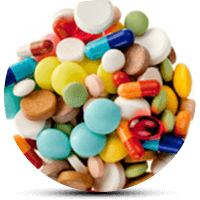 Herbal supplements, vitamins, and minerals may be useful to the patient with benzodiazepine addiction to help him or her, restore physical balance. Moreover, they may lessen the symptoms during the withdrawal process like drug cravings. Withdrawal from benzodiazepines may start after the user’s last dose. Usually, it happens within about eight hours. The user may experience the withdrawal symptoms for months or even years. Of course, it depends on his or her addiction to this drug. With a personal detoxification treatment program, the patient with an addiction to benzodiazepines may successfully surpass this journey. As a result, the doctors will clinically declare him or her drug free. Doctors require anyone with the misuse, overdose or severe addiction to benzodiazepines to undergo a medical assessment. It is to clearly identify their level of drug addiction. This procedure is vital because it will guide the rehabilitation team to determine the right treatment care program. As a result, it will help the patient achieve full recovery. Once they diagnose the patient with a high level of drug addiction, doctors will recommend a medical procedure called “detoxification”. This is where a team of medical professionals will perform various procedures. This way, they can remove and filter all the remaining drug components of benzodiazepines from the system. This is one of the highly recommended addiction treatment programs after the benzodiazepines detoxification process. Here, they require the patients to undergo a 12-step program. The staff will teach the patient different skills to help them cope with the trigger factors causing addiction. Consequently, it may bring back normality in their lives. They happen in a well-maintained rehab treatment facility and are under the supervision of experts in drugs and substance abuse. Going back to the real world after the rehabilitation treatment program can be quite overwhelming. That’s why they recommend an aftercare treatment plan for the patient. This is to ensure a smooth transition from his or her recovery to regaining a new life free from drugs. Aftercare treatment program may involve attendance of private counseling, group therapy sessions and other activities designed to prevent a relapse. Relapse is bound to happen even after how successful the detox and rehabilitation process has been. For example, ex-patients shouldn’t go to the places where they got the introduction to drugs or substance abuse. It’s because of the higher possibility of giving in to the cravings. This is especially for patients who underwent rehabilitation who wants to prevent a benzodiazepine relapse from arising. A person returning to his or her community must have a proactive mindset of the removal of this addiction problem. This is on top of the strong support from the family member and the aftercare plan. In conclusion, detox is just the first step to help a person with benzodiazepine addiction get treatment. They will also need other series of rehabilitation treatment programs. These will help the person with addiction problem prepare his or her journey to a sober life.